The goal of Ownership Thinking (OT) is to create an organization of employees who think and act like owners toward creating wealth (which of course creates opportunity). It's not only about making money, however. OT is also an excellent cultural model, reflected statistically by the fact that companies practicing OT retain employees at a 200% better rate than companies that don't. 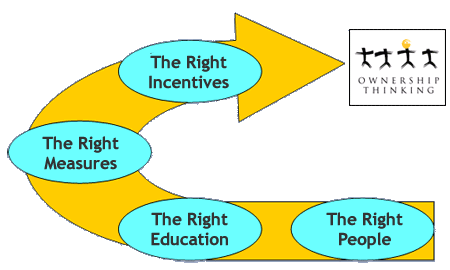 The Right Incentives: The process of employee education and focusing on the right measures in an environment of high visibility and accountability will increase your organization's profitability – guaranteed. 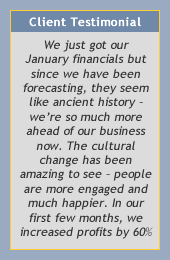 We can now design and implement a broad based incentive plan, because it is self funding. Find out more on how we can implement the process in your organization.